Ulster County is comprised of one city (Kingston), twenty towns (New Paltz, Gardiner, Rosendale, etc), three incorporated villages (New Paltz, Ellenville and Saugerties) and about three dozen designations based on census tracts and postal addresses. Most of these last three dozen, plus other named places and small villages are what we consider “hamlets.” These have no political designation nor government separate from the larger town surrounding them. These hamlets, plus hundreds of others, were usually formed in our agrarian or mining past at crossroads offering a post office, store, and possibly a church, blacksmith shop, and a school—places like Lawrenceville, Plutarch, Ardonia, and Esopus. Checking with an 1875 Beers Atlas of Ulster County (see accompanying article) reveals many named places that have slipped into the black hole of time, their light extinguished by economics often presaged by changes in transportation methods or routes, or the discovery of better sources or techniques for extracting Ulster’s rich natural resources. The postcards accompanying this article have kept alive memory of places, some hanging on, others gone, that were once beehives of activity. They are the little ‘villes and ‘dales of Ulster’s story. From Accord to Willow, the history of smaller civic entities of our area don’t get a lot of press. For instance, when is the last time you read an article on Eddyville? 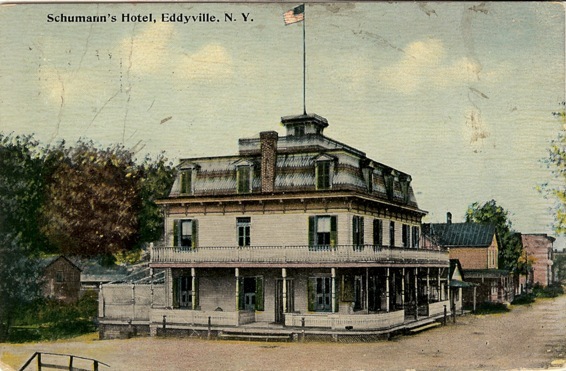 Yet, there was a time when Eddyville (on Route 213 in Esopus) was important to more than just those living there. It was on the D&H canal line and many of its inhabitants worked in the pivotal industries of the day including the canal itself, the cement works, the blue stone industry, hospitality, brickmaking, woodcutting, ice cutting, and of course, fishing. Today, Eddyville is a crossroad with a few houses clinging to a hill and the lingering footprint of the canal at the Rondout level. Its singular large building, Schumann’s Hotel, pictured above, is now gone. 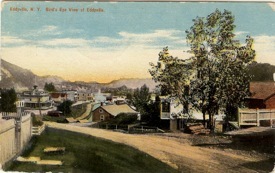 In the postcard image left you see the hotel again, and beyond it, you can see the Wilbur railroad bridge. In an original building just behind Schumann’s is the Anchorage Restaurant and Marina today, and nearby are canal lock remains. Rosendale was a hopping place during the heyday of cement mining. The late Joe Hill’s family owned the hotel that is now the 1850 House Inn and Tavern. Joe gave me the Beers Atlas I so often consult. His late wife, Jane, gave me her family’s post card collection that have been used in past articles. Joe joked there were more bars in Rosendale than people. However, with thousands of men working in the cement industry, I am sure it took a lot of beer to wash away the dust. Rosendale also had a theater. And still does. Rosendale today offers a bakery, library, church, cheese shop, antiques shops, restaurants, and a popular yearly pickle festival. But what of Krumville? Well, it was mentioned in Spalding Gray’s Swimming to Cambodia, a film about the author’s experiences filming The Killing Fields. Other than that, this article may be the second time outside of routine newspaper mentions to find out there is a place called Krumville. It is west of Stone Ridge. 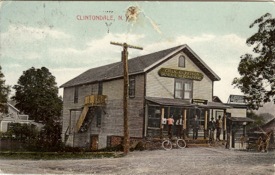 Clintondale, Town of Plattekill, on Route 44/55, still has a store, a fire house, and a post office. 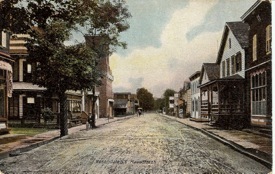 Main Street, Loyd, was in reality, Centerville in the town of Lloyd. Note the second “L” in the town’s name. 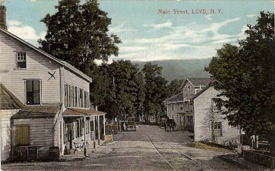 Centerville was on the Highland-New Paltz Trolley line and the “X” on the card signifies the location of Mrs. Churchill’s store. 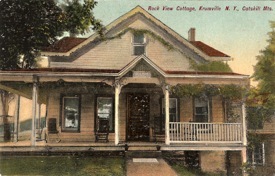 She sent the card and marked the “X.” Recently, the Lloyd town historian’s office received the store’s 1913-1914 credit ledger from Mrs. Churchill’s family. In a beautiful hand, it shows how credit was bestowed and paid—nothing more than a note of what the person purchased, and how much credit was extended to the purchaser. Then, every, so often, a payment on the account. Many descendants of the creditors in that ledger still live in the area. That is another indication of the depth of connectedness shown in the study discussed earlier on civic connectedness. Ohioville was another ‘ville on the Highland —New Paltz Trolley line and had all the accoutrements of civilization—church, school, store, livery stables, restaurant, and bar. It still has some of those businesses including an ebay® store run by a Tantillo whose grandparents ran stores there before him. His great uncle, Sal Tantillo, ran the gas station across 299 for over fifty years. Ohioville is at the intersection of North and South Ohioville Roads and Route 299. The hamlet of Dashville was formed around water falls in the Wallkill River. It was a mill site accommodating numerous businesses culminating in the huge Dimick* mill that made wool rugs and later blankets for Union Civil War soldiers. 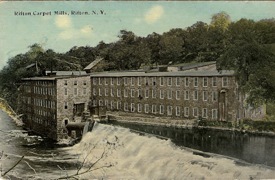 Dimick’s and most other water-driven mills ceased to be economical as new motive power drove the mills that could now be located closer to the sources of their raw materials. This was particularly true post Civil war. The south, with its less robust water potential, could now use steam- or electric-driven mills. 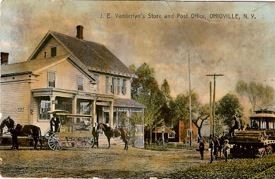 As you encounter intersections of older roads, picture the store or post office that probably once graced its corners. A building or two may still be there. 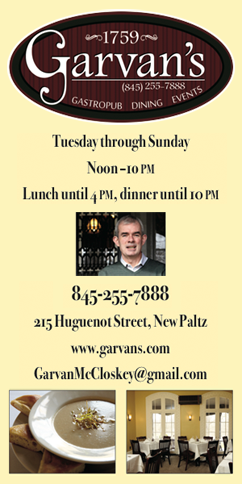 Or, consult an online version of Beers Atlas of Ulster County—a fascinating escape. In addition to maps it has wonderful etchings and line drawings of the more substantial building that once graced so many ‘villes and ‘dales in Ulster’s past. *Dimick is also spelled Dimmick.